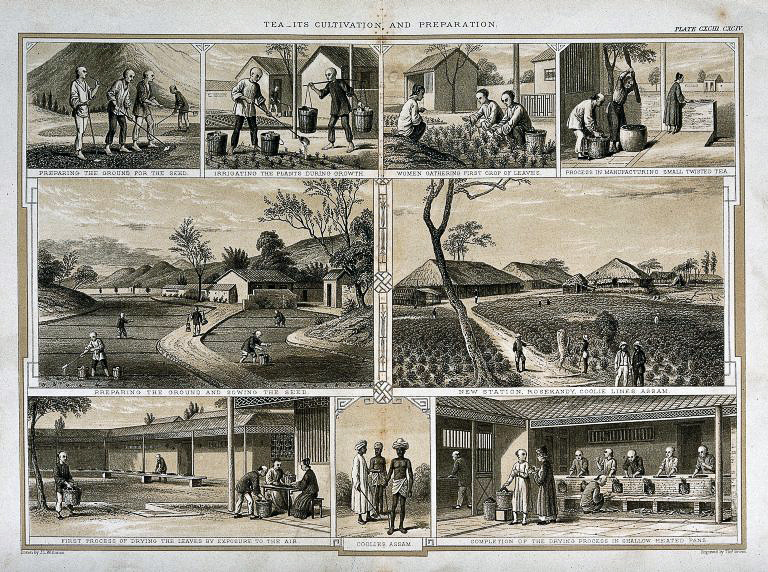 This engraving from 1850 shows various stages of making tea in Assam – from preparing and irrigating the ground, gathering, to the stages of drying the tea leaves. In the two stages of drying moisture is completely removed from the leaves to prevent spoiling during transportation. Artist – Joseph Lionel Williams after Thomas Brown.